Did You Know Nike Passed on Steph Curry? They're probably regretting that one. Two years ago, Nike was unsure whether Steph Curry would ever be able to sell signature shoes. Now, he's got a successful young sneaker line with Under Armour and a fresh MVP award on the mantle. ESPN just served up a reminder of how Curry's underdog status applied even to his sponsorships. The Golden State Warriors point guard actually wore Nike for the first four years of his NBA career, but eventually signed with Under Armour after Nike passed on its opportunity to sign him. 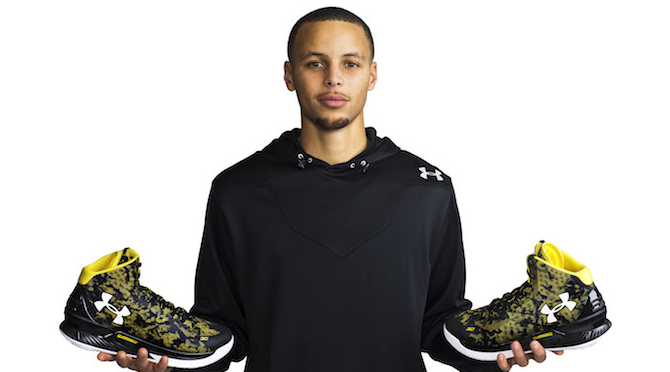 Nike reportedly offered Curry less than $2.5 million a year, an offer which Under Armour beat. Nike passed on its chance to match, Curry inked a deal with UA in October of 2013, and the rest is (sneaker) history. Regardless of how one feels about the design of the UA Curry 1, it definitely makes the NBA sneaker game more interesting to have another top notch athlete sporting a sig shoe. And don't forget, the next Steph Curry Under Armour sneaker is already on the way.